Run IT as a Service Business! Martin Palmgren is a senior consultant of Swedish origins and the IT Strategy & Transformation Executive of .COMMUNICATE. 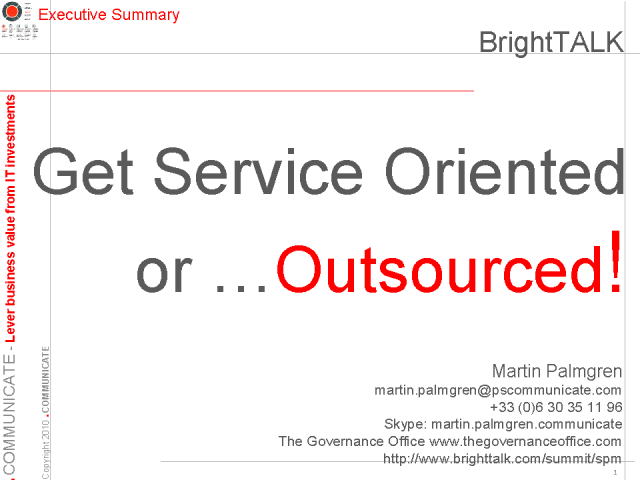 Engage live with Martin as he presents “Run IT as a Service Business”. Title: Run IT as a Service Business!